I’m the middle child in my family so L and I have a unique bond. He wants to do whatever he sees his older brother doing and also likes to explore on his own. 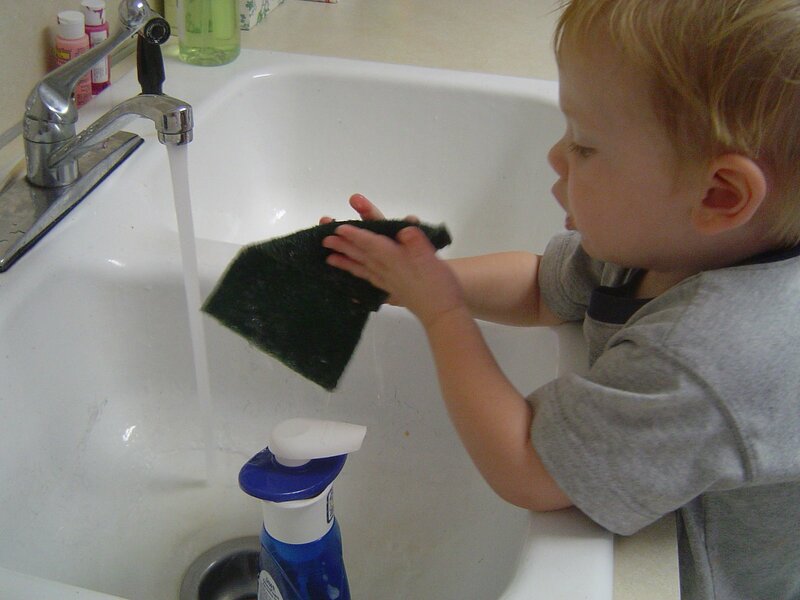 Here, he wants only to play in the water and pump the hand soap to make bubbles. He screamed when I finally took him down off the stool from the sink. 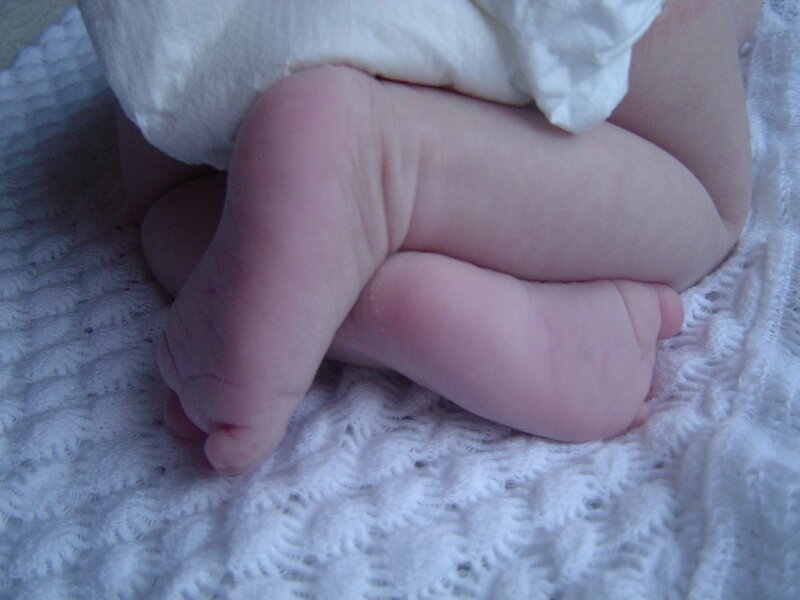 He was asleep in his crib just five minutes after taking this picture. I was on the phone tonight with my “Birmingham” friend, Crissy, when my youngest son handed me a bag of dried black eye peas. I laughed. A few weeks ago, returning home from a grocery trip, I made a mental checklist of the purchased items as I began putting them away. Unable to find the bag of peas, I went back into the garage and checked all throughout the van. No where. Here it is about a month later and guess where my youngest son found them…in the front yard bushes. They must have slipped out of a grocery bag or someone’s little hands got to them before I could and decided to “drop them off”. I thought it was funny. 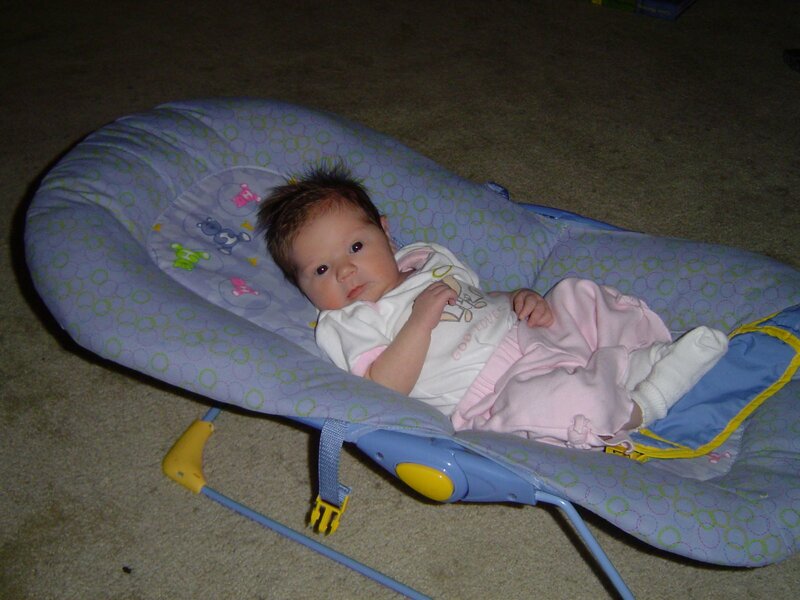 AB at one week of age. She looks big to be only one week. We took her to her first doctor’s appointment today. She’s gaining weight and has already grown an inch in a week’s time. 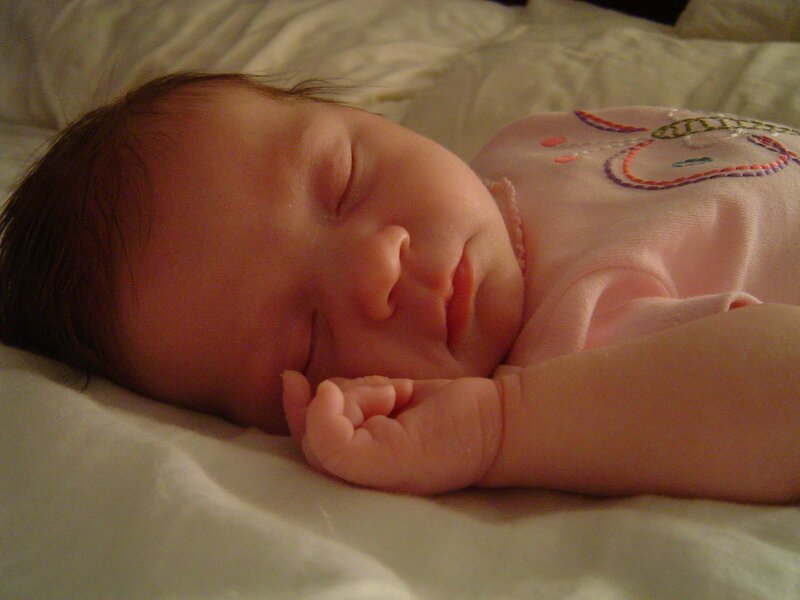 Birth weight = 7 lbs 11 oz. I thought this was cute. 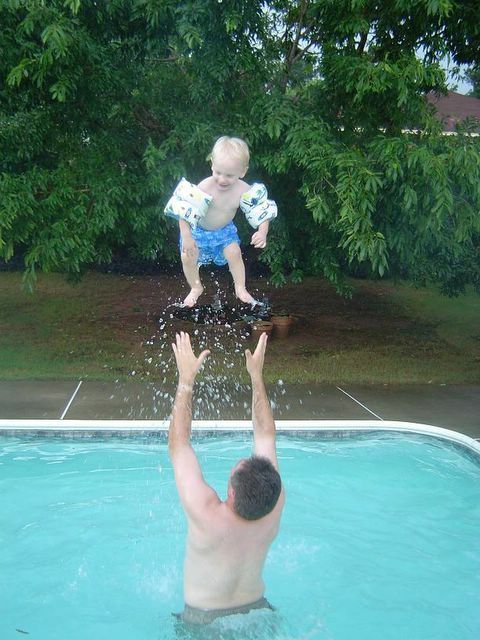 On the top, Dad tossing L this past weekend at a church party (L = age 19 months old). 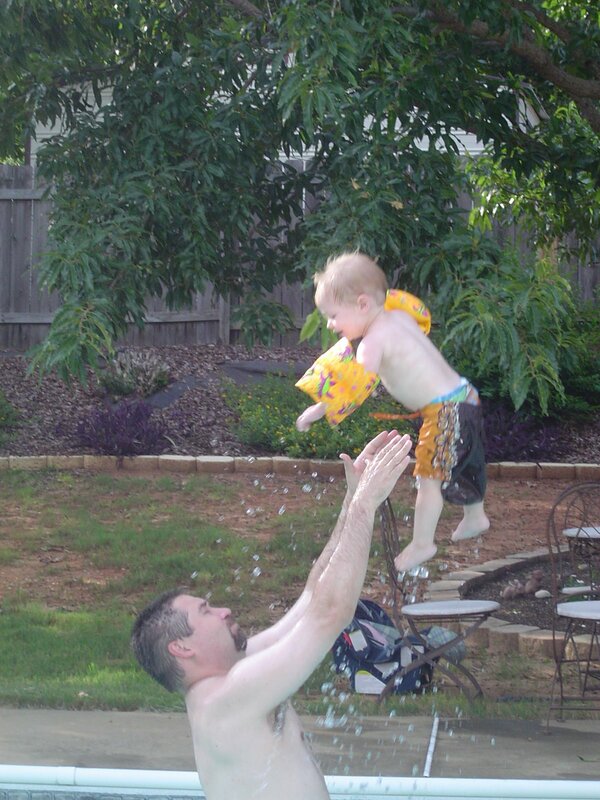 On the bottom, Dad tossing A in the same pool back in Aug. 2005 (A = 16 months old).